My father turned 92 this year, so I thought I’d turn to a different topic. If there’s anything that puts fear into those over 40, it’s cancer. For those over 60, it’s the mental breakdowns, symbolized most by dementia and Alzheimer’s disease. While many find treatments for cancer, few have been successful with Alzheimer’s disease. The reason that cancer has been so slippery to treat is that there are so many potential causes (inherited susceptibility, environmental toxins, immuno-suppresion deficiencies, etc.) and so many expressions (malignant, nonmalignant), with so many types (liver, brain, and skin) of the disease. It’s very, very complex. In more than 90% of cases, Alzheimer’s disease (AD) develops after the age of 65 years, and doubles its prevalence with every successive decade of life; from 10% at 60–70 years to 40% at 80-90 years of age. To understand what we’re up against in successful treatments for Alzheimer’s disease (AD) we have to take a 3-minute field trip into science behind the disease. So here’s one of the major scientific players saying PUBLICLY (without directly saying it) that we can’t trust drugs that target genes to fix problems with the body. The major drug companies like Merck, Pfizer and Glaxo-Smith Kline rely on the tireless work of molecular biologists who are trying to make effective “knockout gene” interventions (genes can either be expressed, or be silenced to suppress functions) to solve a problem. Thousands of new drugs are produced, but not without problems. This pathway often has serious issues. Most of the new drugs produced don’t pass stage II (animal studies) or stage III (safe human trials with efficacy) to make it to market. Those that do make it to the marketplace are fraught with side effects. Nationally, there were 426 drug recalls in the U.S. just three years ago, raising serious questions about the quality of research and production in the United States. In fact, one recall is a disaster if it’s the drug you’re taking. Astonishingly, last year (2010) The Food and Drug Administration initiated more than 1,742 recalls (almost 5 a day!) according to the Gold Sheet, a trade publication on drug quality that analyzes FDA data. I’m telling you this because I want you to drop any delusions that drug companies can guarantee any quick, safe and effective treatments for Alzheimer’s disease. Almost all of them are going at the problem(s) the wrong way. After a quarter of a trillion dollars spent to cure cancer over the last 40 years, you ought to realize that you can dig all the oil wells you want, but if you’re digging your oil wells in Hawaii, you’re wasting your time. One of the big pharma drugs for AD is Aricept. It’s an acetylcholinesterase (AChE) inhibitor (it helps make more choline available for better memory function) with some clinical effectiveness for Alzheimer’s disease, but there are adverse effects on peripheral organs (liver, kidneys, etc.). Other drugs approved for the treatment of AD include Tacrine, Donepezil, Rivastigmine and Memantine. These drug companies understand part of the problem, but not all of it. What?!!!! Aren’t those good drugs? Hang in there with me. We’re going to get to the good stuff. The “New Biology” is a whole new paradigm for understanding how our brain and body work. Holistic research is going mainstream! There’s a new pack of scientific mavericks from across the country. These pioneers USED to work at the well-known drug companies and they even told the drug companies that all drugs targeting single genes were doomed to fail! What did the drug companies do? They fired them! That’s the mentality of drug company executives. Here’s what this new understanding is all about. You use Amazon to buy books, right? Well, to organize, track and sell you books, Amazon uses and runs thousands of networked computers. And that’s something that these new maverick biologists drool over. These bio-mavericks actually lease “CLOUD” computer time from Amazon. Why? The “New Biology” mavericks use very, very fast computers to crunch the data to show diseases are massive network issues (not a single, disconnected gene.) In fact, the databases needed to crunch the numbers and to integrate data in these HUGE genetic and cellular networks are humungous! They use NOT gigabytes or even terabytes of data. Get this: they crunch PETABYTES of data (look it up; it’s a million Gigabytes) of data! Why do you need that much computing power? To sort holistic data! Our bodies have far more complexity than anyone ever dreamed of. His paper was “A Network View of Disease and Compound Screening.” In short, targeted gene therapy will always have side effects, he says. Don’t worry about the vague title; I’ll explain it. What he’s telling us is simple. The old Alzheimer’s thinking was along the lines of, “How do I get rid of those pesky beta-amaloyd plaques?” But it turns out that the plaques may be one of the symptoms, but not the cause of AD. Human biology is WAY more complex. In fact, our whole body communicates with itself far more than we EVER imagined. Eric Schadt says we must treat the “network” in our body (holistic approach) rather than individual receptors or genes. What if all our genes, proteins and cells don’t work separately? What if you can’t just target a specific gene that someone thought was responsible for Alzheimer’s? What if genes “talk” to other genes in large social networks? And finally, what if all of these genetic communications (like social networks) could be measured and even predicted? That’s the NEW BIOLOGY! Human biology, at every turn, has turned out to be even more complex that anyone ever thought! It’s social networking INSIDE our body. There are several interventions that have been used lately, each with a different level of effectiveness. Each of these is more holistic. I can tell you that each of them (in low dosages) is completely safe and yet still effective. I cannot (and will not) tell you, or someone you love, to take these, since I am not a medical doctor. You are responsible for your own health. I am merely pointing out what studies have been done. For record, I am only reporting on research here. I am NOT prescribing anything. Most of the strategies that you’ll see for Alzheimer’s disease (AD) prevention are commonly known. Researchers look at populations (educators, laborers, males, females, etc.) and determine how often that population gets Alzheimer’s disease. From that data, conclusions are drawn about low or high-risk lifestyles. This may not be the most enlightened approach, but in the absence of other approaches, it is still helpful. Here is what seems to lower your risk. More brain work in your career is better! Location-Lakes: While living near lakes is OK, avoid exposure to life forms near lakes. Some lake areas have 10 to 25 times the expected incidence of cyanobacterial neurotoxins. Possible routes of toxin exposure include inhalation of aerosolized toxins, consuming fish, or ingestion of lake water. (Caller TA, et al. 2009). These are toxic! Emotions: Rediscover your passion and purpose in life. Do something you care about, do service work and love what you do. Take some travel risks to new destinations. Go to places that take your breath away. In the USA, there are plenty of amazing national parks. Overseas, the choices are endless. Hard work: Make your brain work hard with new learning 3-5 times a week. 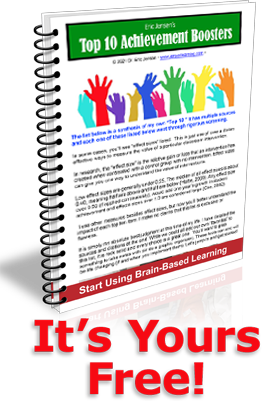 Upgrade your reading from the “brain-dead” reading to other types that are more challenging. Sitting around is a risk factor, learning new and challenging things is better for the brain. Eating Rules: Snack healthy, eat only half portions of your regular meals. Choose greens and proteins over carbs and sugars. Cut your carbohydrate consumption in HALF. The key scientific principle, which forms the basis for these diets, is the relationship between consumption of carbohydrates and the subsequent effect on blood sugar (i.e. blood glucose) and specific hormones. Blood sugar levels in the human body must be maintained in a fairly narrow range to maintain health. The carbohydrate-rich diets evoke excess insulin secretion from the beta cells in the pancreas, which is meant to stabilize the blood sugar levels. But the constant seesaw and glucose whiplash has serious metabolic health consequences. Alzheimer’s risk goes up! To help regulate blood sugar, a daily teaspoon of cinnamon can support insulin regulation without side effects. Buy a large salt shaker-type container and use it liberally and daily. Reduce the additives and preservatives and eat natural. A glass of red wine a day is okay, and other alcohol may be consumed, but sparingly. Cold water fish is good such as salmon, mackerel, sardines; cod is a good source of choline, along with whole-grain cereals, legumes, eggs, meat, and royal jelly (all of which contain both vitamin B5, omega 3s and choline.) Turmeric, the bright yellow spice that is a primary ingredient in curry powder, shows great promise against Alzheimer’s disease (29 peer-reviewed studies) due to a variety of actions, including its ability to inhibit and even reverse beta-amyloids. Curry and similar spicy foods may be protective. 1) Omega-3 fatty acids are neuroprotective during development and aging. Omega 3 supplements have shown positive effects in multiple studies (186 studies) of subjects with very mild AD, especially for early onset conditions. Get Omega 3 as fish oil capsules or liquid. Fish oils support enhanced neurogenesis (the production of new brain cells.) When you raise neurogenesis, this in turn supports learning, memory, mood and weight regulation. This non-prescriptive product (fish oil) may be purchased at a health food store. Get it fresh, the type that smells good and tastes good. Also available in no smell fish oil capsules at health food stores. 2) Lipoic acid (LA) (available in health food stores) is a naturally occurring cofactor for the mitochondrial enzymes. It has properties, which can interfere with the pathogenesis or progression of AD. For example, LA increases acetylcholine (ACh) production by activation of choline acetyltransferase and increases glucose uptake, thus supplying more acetyl-CoA for the production of ACh. In addition, it down-regulates the expression of redox-sensitive pro-inflammatory proteins including TNF and inducible nitric oxide synthase. Furthermore, LA can scavenge lipid peroxidation products to prevent AD. (Maczurek A, Hager K, Kenklies M, Sharman M, Martins R, Engel J, Carlson DA, Münch G. 2008). 3) Small does of lithium (283 studies found at last count) suggest it may be a neuroprotective agent (it’s available in tablet form at health food stores) and has been shown to reduce the rate of dementia and AD. (Wada A, Yokoo H, Yanagita T, Kobayashi H. 2005). 4) CoQ10 is widely available and very well tolerated with minimal adverse effects, making it an attractive potential therapy. Phase III trials of high-dose CoQ10 in large sample sizes are needed to further ascertain or confirm the effects of CoQ10 in neurodegenerative diseases, but early indications look promising (Spindler M, Beal MF, Henchcliffe C. 2009). It’s available in health food stores. 5) The hormone melatonin may be effective against the famous and pesky plaques found in AD patients. Melatonin interacts with amyloid beta and inhibits its aggregation (Maya Vetencourt JF, Sale A, Viegi A, Baroncelli L, De Pasquale R, O’Leary OF, Castren E, Maffei L., 2008). This connection with melatonin, which regulates sleep, is strengthened by the recent research showing that the wakefulness inducing hormone orexin influences amyloid beta, too. Medications: Take what you absolutely have to take. Ask your doctor if any meds you take can be reduced or eliminated. For example, there are many studies suggesting the statins meds (cholesterol – lowering medications) have significant downsides and minimal upsides. Many are simply regulating a function in areas that other non-prescriptives could also be effective. Avoid taking a medication to prevent a problem. Environment: At the behavioral level, enriched environments improve learning and memory tasks and reduce anxiety. Enrichment consists of a positive, extended contrast in daily experiences from the typical or usual environment that you might have had. Both animal models of Alzheimer Disease (AD) and human models suggest this may be powerful. Why? Enrichment can reduce the effects of mental and neurodegenerative diseases, stress, aging and development of environmental toxins (Redolat R, Mesa-Greasy P. 2011). Stay social. Invite friends over often. Do neighbor gatherings and host clubs and fund-raisers. First, I’m not a medical doctor (and if I was, I might be too worried about lawsuits to suggest alternative interventions anyway.) That means I am not qualified, nor will I suggest any specific treatment. Having said that, I am qualified to share the science and let you make your own decisions. The mainstream medicine will tell you that there is still no single treatment that can successfully stop or reverse the progression of AD. Alzheimer’s is a complex disease that defies simple solutions. However, new research suggests we can slow its progression, and even reverse its pathology, IF you know how. For now, I’ll mention strategies that are available for over the counter or online purchase. Remember, I am not prescribing these. I am not your doctor. I am only raising awareness. The two “over the counter” interventions are 1) 5-HTP and 2) Galantamine. 1. The first intervention is 5-HTP (hydroxy-tryptophan) with over 937 peer-reviewed studies that explore the relationship to AD. This is the precursor for your brain to make more serotonin. As you know, serotonin supports neurogenesis (new brain cells.) There are currently clinical trials underway to treat AD using fluoxetine (the primary agent in Paxil and Zoloft.) This non-prescriptive product (5-HTP) may be purchased at a health food store. In fact, Galantamine, in quality controlled, randomized trials/studies has been documented to have a consistent, albeit sometimes modest, effect on cognition, behavioral symptoms and activities of daily living (ADLs). Although minor adverse effects are commonly reported, the product is generally well tolerated and has a favorable safety profile. This does NOT cure AD, but a modest effect may make a big difference, especially when it’s a loved one’s mind, or even your own, we are talking about. One reputable company that sells Galantamine capsules without a prescription online is Life Enhancement. Listen, your brain is your life; take good care of it! Share this article! Ago Y. and Yakugaku Zasshi (2010) Beneficial effect of galantamine on sensory information-processing deficits. 2010 Oct; 130(10):1305-10. He HY, Ray B, Dennis K, Quinlan EM (2007) Experience-dependent recovery of vision following chronic deprivation amblyopia. Nat Neurosci 10:1134 –1136. Maya Vetencourt JF, Sale A, Viegi A, Baroncelli L, De Pasquale R, O’Leary OF, Castren E, Maffei L (2008) The antidepressant fluoxetine restores plasticity in the adult visual cortex. Science 320:385–388. My mother contracted AD when she was about 65 yrs. of age, BUT was not “clinically” diagnosed with it until 5 yrs. ago, all because she had an HMO for medical coverage, and they only do clinical tests on patients that are severe enough to warrant the cost (this is also a very serious problem, for it relegates patients with symptoms of a disease to perpetuate their illness until it is “noticeable” to all. Preventative Medicine HAS TO take priority over treatment of severe symptoms. My mother could’ve been helped a lot sooner, had she been clinically diagnosed a lot sooner, so that our family could’ve been appropriately advised on how to take preventative measures to slow down the progression of AD. Now . . . it’s too late. Thank you so much for providing this information. My mother was “diagnosed” in her fifties. She was actually part of the trial for Aricept before it was approved. She lost her battle with Alzheimer’s but not without a long, agonizing fight for her and our young families. My mother was physically active,challenged herself mentally, was a fairly healthy eater (no seafood, however) and lived a very comfortable life. She seemingly followed the right path. However, she knew something wasn’t right long before the symptoms became noticeable to us. The more of us that know the “dirty little secrets” of pharmaceuticals, the more we can push for the new biology. Thanks for this very valuable information. I especially treasure the sources. My Mom had dementia and several friends of mine are helping friends with some form of dementia. This is all a journey and we are making our best adjustments and stopping to smell the roses along the way. If I could redo my journey with my Mom I would lighten up and just enjoy her more. I’m glad you are researching more healthful ways to deal with illnesses as well as keeping our body and brain in top form other than take a drug. One prevention about living by a lake I had not considered and thought was interesting. I would have liked you to mention or research more about green juicing or green drinks and fasting to heal our bodies and mind from many types of diseases. This is one of many protocols I do that helps me be a five year survivor of an illness I had. Thank you for all your work with helping others, and bless you and your father. Thank you for this article about a more holistic approach. Lots of good info in it! Well-stated useful credible information Eric. It’s important to realize that we typically don’t get to chose our inevitable late life illnesses. Mother Nature spins the wheel, as it were, and wherever the pointer stops is what we get. As you know, I came down with esophageal cancer three years ago, despite having never smoked (the principal cause of esophageal cancer). No complaints. Would I have preferred pancreatic or colon cancer? Thanks for sharing this information with us. I am totally sold on the holistic approach. Our bodies are magnificent creations of God and need his wonderful creation for healing our bodies. I am convinced that most anything can be healed by the right nutrients. My mother died as a result of AD at the age of 62. I work hard to keep my mind active and to eat healthy. It is good to hear this info from others besides doctors. Keep up the good work. I mix what i learnt from you Eric with the wisdom I learnt from my Native-friends .. I became very interested in the cause of and cures for neurological disorders two years ago after we received the double shocking news that my mother (77 years) was in the beginning stages AD and my father (79 years) was dying of ALS. I quickly discovered the “changing the shape of your brain” genre at my local bookstore and have learned so much that applies not only to my parents (and my own brain health) but my teaching practice as well. Our brains are amazing and very complex. I am forwarding this blog to my mother, who I try to convince at every opportunity I have, to read more, intellectually challenge her self, travel, volunteer, and exercise ALL of which you mention in this blog! Thank you for aligning my intuitive knowing with the research – in a easy to read and understand article! Thanks so much for this great article. It inspires all of us to reinforce our efforts to live a very healthy lifestyle. I love the challenge of living fully until I take that last breath. My mother, who died last year at the age of 95, did just that. She did maintain a healthy, stimulating lifestyle and was complaining about the hospital food just a few hours before she died. She had only been in the hospital two days since she wasn’t “feeling very well.” Your well researched articles and her life-long example inspire me to keep stretching my mind and body on a daily basis. My mother took aricept. She plateaued for about 5years, until she had to undergo surgery – anaesthetic, I believe/ have read, can advance alzheimers after such procedures. This has been the case for my mum.. It has been posed to me by alternative practicioners that AD is also of emotional/ physical origin – people who have lovingly cared for others,(perhaps neglecting their own feelings?) unfailingly obliging, over a life time, who then become the one in need, having to be fed, clothed, toileted… whereas their active life was as the dependable one of the family. Still, whatever the origin, it is an outcome no one would envision for themselves. Quality rather than longevity? Thanks for your insights to current research. Thank you, Eric. for your research on the brain. As an educator, this is one area that is extemely important to us. Thanks for the update of Alzheimer’s.